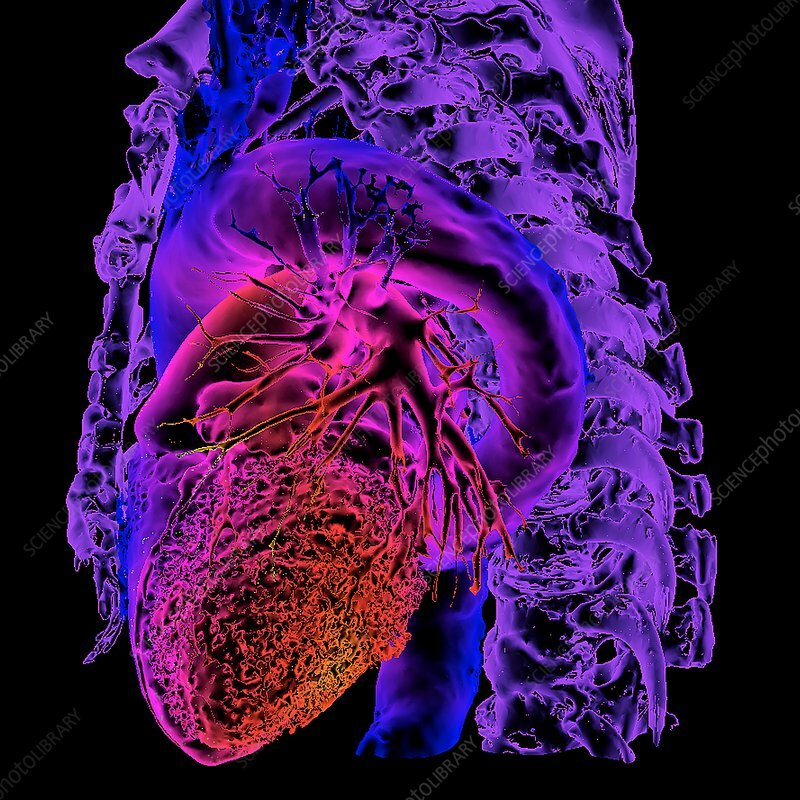 Aortic aneurysm, 3D coloured computed tomography (CT) scan. The heart is at lower left in this view, with the aorta (the body's main blood vessel) arching over the top and down towards lower centre. An aneurysm is a weakening of the walls of a blood vessel, leading to swelling and rupture. In the aorta, such rupturing is swiftly fatal. If the condition is detected before rupture, surgery is needed to repair the aorta and implant a stent to strengthen its walls.